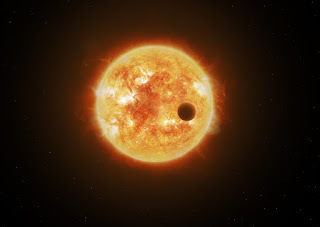 Astronomers believe to be found out the first exomoon or moon orbiting an alien planet, 8,000 light years away.Alex Teachey, an astronomer from the Columbia University at New York along with David Kipping, another Columbia University astronomer have been able to pull up this feat with the help of the Kepler and The Hubble Telescope. Stars are the ultimate visibility factor we have in space. Without stars the Universe would completely shred off to darkness. Stars are huge balls of burning gases, producing light and heat for billions of years. 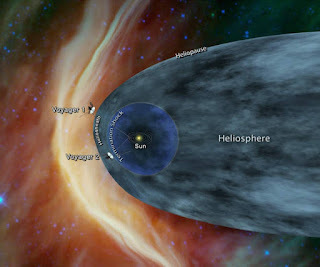 The fuel required for this bohemoth process comes from nuclear fussion, in this process the most common element found in the Universe Hydrogen is continously converted into Helium, which in turn produces energy in the form of heat and light. But do all the stars in the Universe are of the same type ? Not exactly, on the basis of our understandings of the Universe, Stars may be the most diverse things possible present. 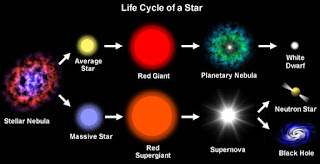 From tiny brown dwarfs to red and blue supergiants. There are even more bizzare stars such as neutron stars and Wolf - Rayetstars. So let's see the different types of stars. To understand the perception of different types of stars we firstly need to understand our own star The Sun and its physical characteristics. A new Planet named "Goblin" found in the outer fringes of the solar system. A new dwarf planet has been discovered in the outer fringes of the Solar System. 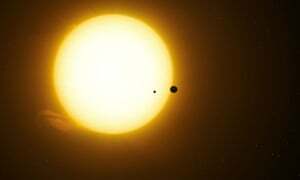 Scientists and astronomers believe it as an golden find, because it solves out their theory of "Planet X" to be present in our Solar System stronger. Various astronomers and cosmologists believe the presence of a super Earth planet beyond Pluto. 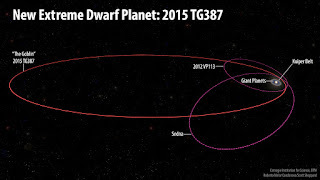 Sheppard along with his coleagues found 2015 TG387 in the year 2015 with the help of Subaru telescope atop the volcanic peak Mauna Kea in Hawaii, but it took three years for them to understand its orbit. 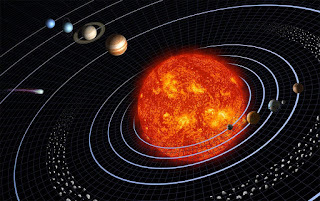 Since the evolution of Space, there has been a long thought over, if there are planets outside the Solar System. Everybody was quite certain about their presence but no certain proofs were availaible to justify the theory until 1988. Actually the first Exoplanet was observed in the year 1917, but due to its uncertainity it was ruled out afterwards. As of october 2018, 3851 confirmed exoplanets in 2871 systems have been found, of which 636 systems are thought to be orbited by more than one planet. How did we came upon the first exoplanet ? Life on Earth is so weak and fragile, in comparison to activities happening in Space. We have our own troubles in the form of Volcanoes, Earthquakes, Tsunamis and the list just goes on and on. An asteroid attack from Space can wipe out the whole of Humanity, like the one which wiped out the Dinosaurs, 66 million years ago. So looking at the scenarios Earth maybe looking for ways to kill us ! Maybe we as a civilisation are not yet strong enough to save ourselves from planetary as well as cosmic disturbances. How could we move to a better civilisation ? In 1964, A Russain Astrophysicst NikolaiKardashev proposed the system for all possible civilisations on the cosmic scale. The scale was named as the Kardashev Scale after his name. The kardashev scale distinguished Civilisations into three types Type - I, Type - II, and Type - III based upon the energy each can produce.